Sri Lanka has a proud heritage of arts and crafts and you’ll find a distinctive memento to take home among the wide range of items for sale in Colombo. 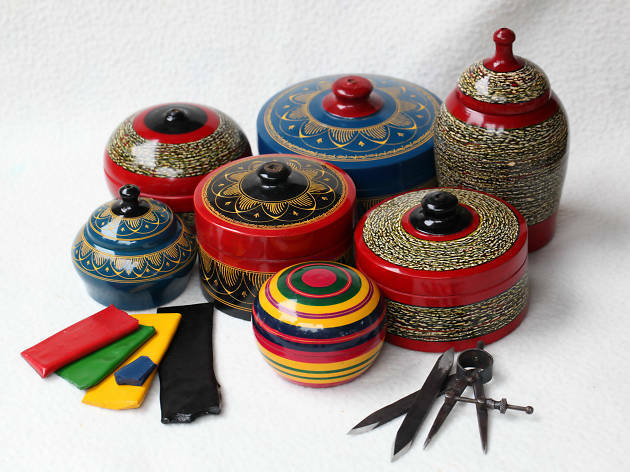 Popular handicrafts include gold and silver jewellery set with gems, wooden masks, intricate lace-work, lacquerwork and ceramics. The full-range of handicrafts is available in the many stores in and around the capital, but you can also see the work that goes into creating them as you travel around the country – watch deft hands weaving intricate lace patterns in towns around the south-western coast or see the pottery wheels in action at the small village of Molagoda in the central provinces. 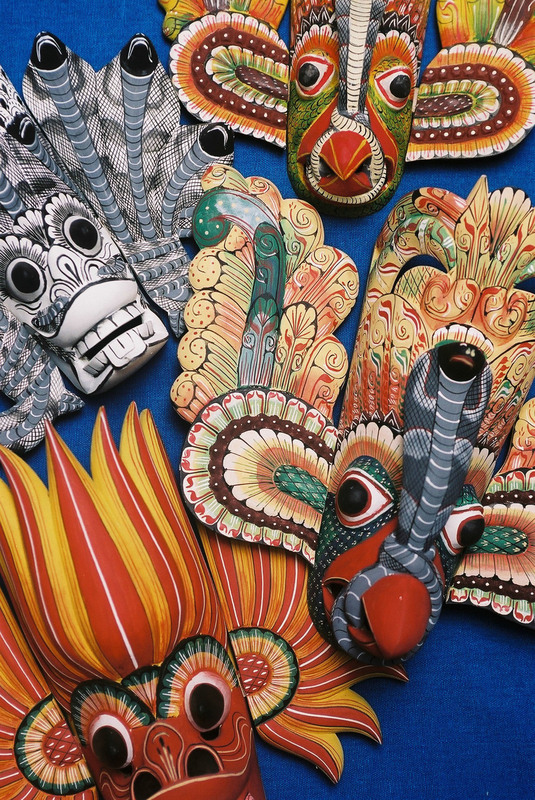 Masks are deeply connected to Sri Lankan folk-lore, and takes on a functional role where they are used in healing rites and rituals. Known popularly as devil dances, some are dance-drama performances that tells an elaborate story and is enacted by experienced dancers and actors wearing these masks. One of the most popular and ancient acts is the 18 Sanni that are thought to represent diseases or ailments caused by yakkas (devils). Eighteen masks carved to represent the torment felt through these deceases are worn by an exorcist and a tovil, devil dance, is performed. Other popular mask dances or dramas are Kolam and Raksha, one a comedic performance and the other masks mainly used in festivals and processions. Ambalangoda is known to be the heart of mask carving with many shops dotting the road side as you drive along this coastal town. 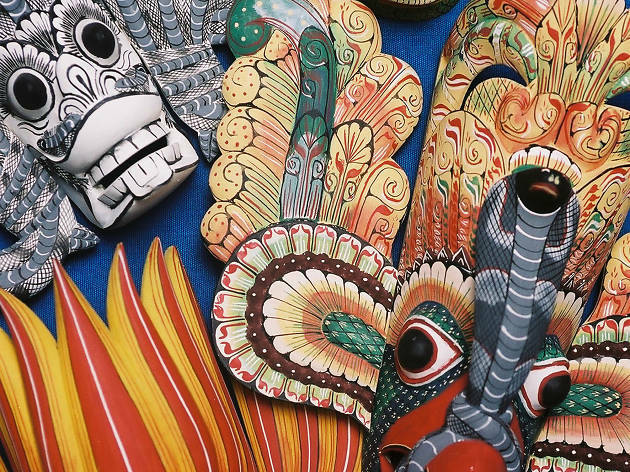 If you happen to pop into one of the stores, you will be able to see how these masks are carved and painted with brilliant colours and take one along as well. Long ago handloom was reserved exclusively for the royalty and the renowned in the country and special villages were designated to practice the craft. However, now Handloom is generally found around the island as a self-employed or entrepreneurial activity where this skill which has been passed down from generation to generation has been revived and practiced. 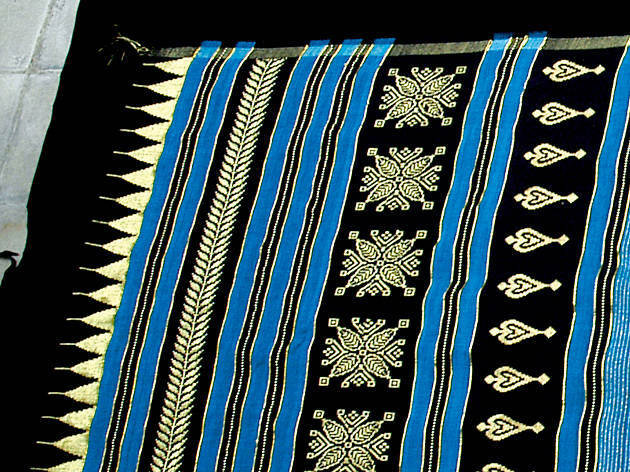 Among handloom products in Sri Lanka are, curtains, cushion overs and other household decorative items, saris and garments as well as everyday items such as books and bags. Handwoven fabrics, with its vibrant colours and simple or elaborate patterns have become a favourite among shoppers. Lace making, a pastime caught on from Portuguese and Dutch women during the colonial times, has now developed into a reputed household industry, mostly around the South Western Coast of Sri Lanka. 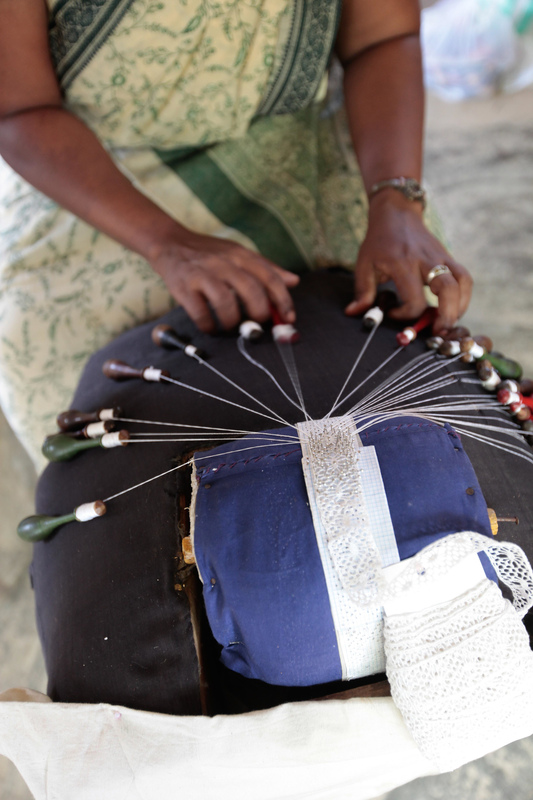 Lace making households can be seen in Weligama, Galle, Matara and Hambantota. 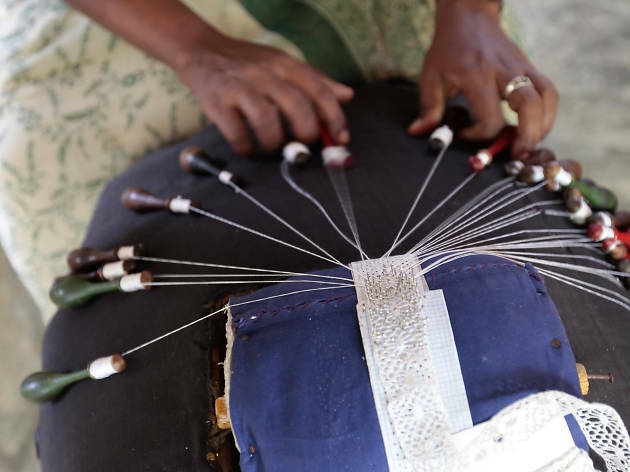 And it is indeed quite fascinating to see how the hands dexterously handle the tools to create intricate patterns, something that you should not miss if you happen to come across a household engaged in the art of making beeralu lace and perhaps even have a go at it, if they allow. A skill that is almost exclusively found amongst women, these lace making techniques are found as trimmings on dresses, curtains, table spreads, garments and covers for pillows, cushions and chairs. 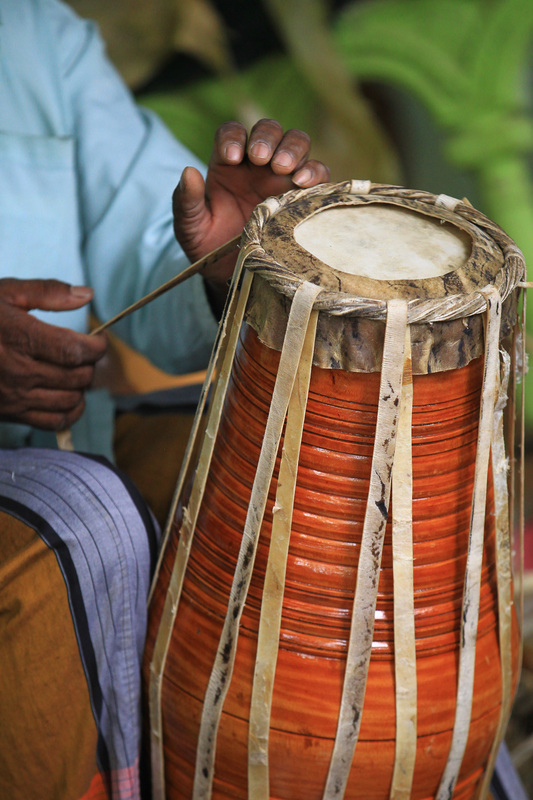 The traditional drums or Bera, is undoubtedly part of the Sri Lankan culture. 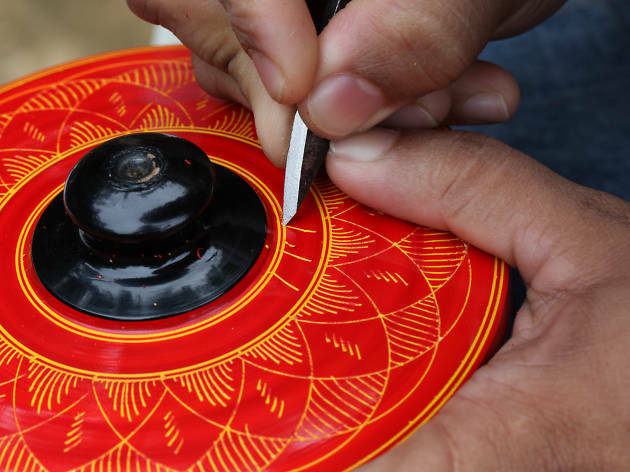 The special skill and craftsmanship required for the making of these drums are possessed by a numbered few—communities across Kurunegala and Hodiyadeniya in the Kandy district. The body of the drum is fashioned mostly out of Jack tree, and the skin is made out of animal hide. After long hours of divided work within each group, the keen and detail oriented drum makers present beautifully shaped and designed drums with the right sound. 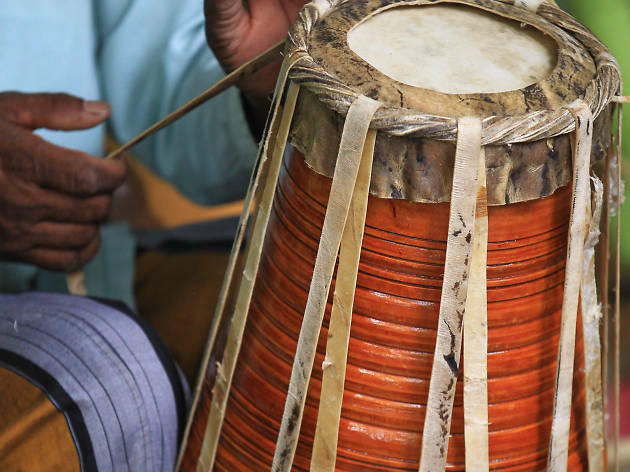 Drum making is also largely practiced in Hikkaduwa located in the Southern region of Sri Lanka. Looking back, we see that jewellery has always been embedded into the culture and heritage of Sri Lanka. In the ancient times, silver, gold and gem adorned bangles, necklaces and rings among other ornaments were considered a mark of royalty and privilege, whereas today, jewellery is available for purchase for any who fancy a piece of perfectly crafted jewellery. 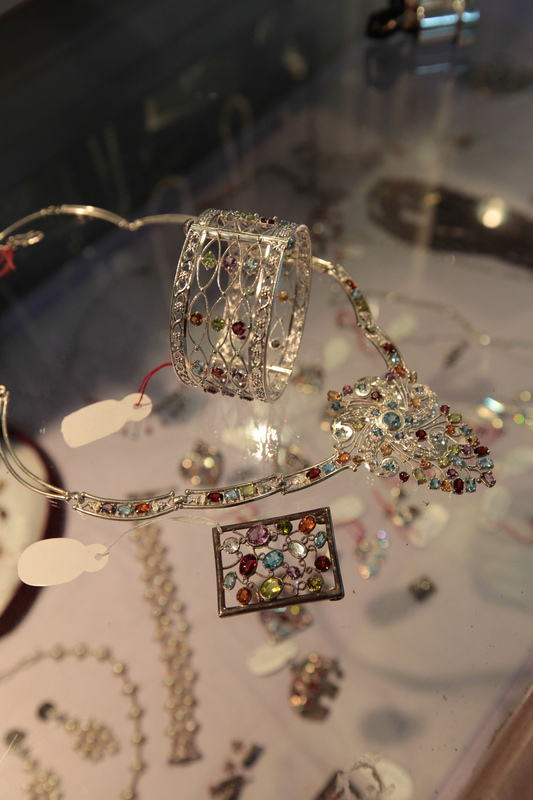 At present, jewellery made in Sri Lanka—either traditional in design or modern and up to international standards, is a very well reputed and sought after merchandise worldwide. 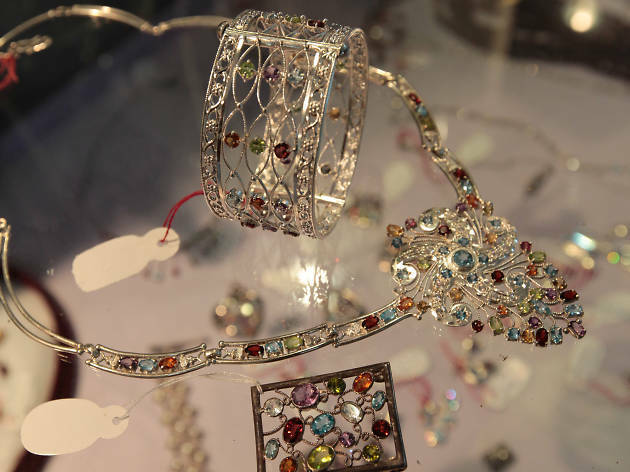 Compared to how jewellery was created generations ago, modern technology and tools have at times been incorporated now, into the making of the jewellery, where one can see age old traditions and designs infused with modernity. Sri Lanka, famed for precious and semi-precious stones, especially blue sapphires, is a sure choice when it comes to purchasing jewellery. 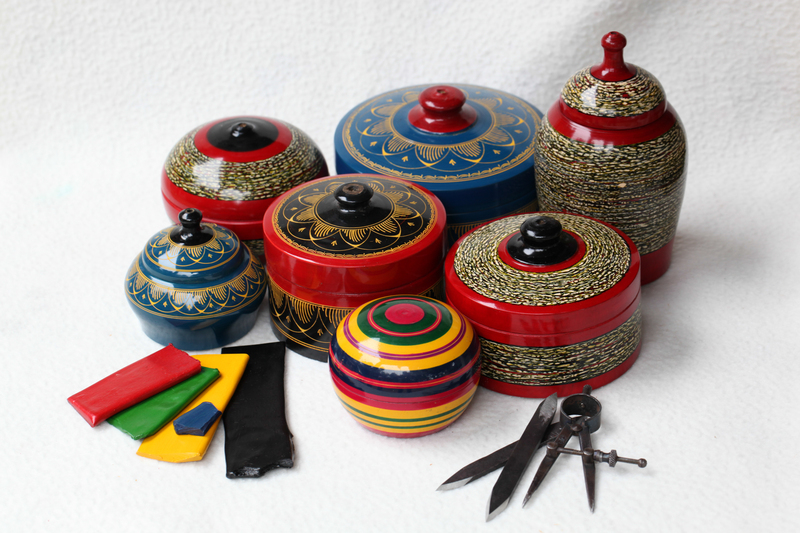 These skillfully made traditional handicrafts are a very popular choice amongst tourists and seekers of tokens depicting Sri Lankan culture. 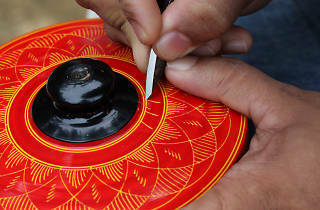 Originating in central Sri Lanka, the knowledge of lacquer making has spread throughout the island over the centuries. The base product for the traditional lacquer ware is a wax derived from a species of insects, which is imported from India. 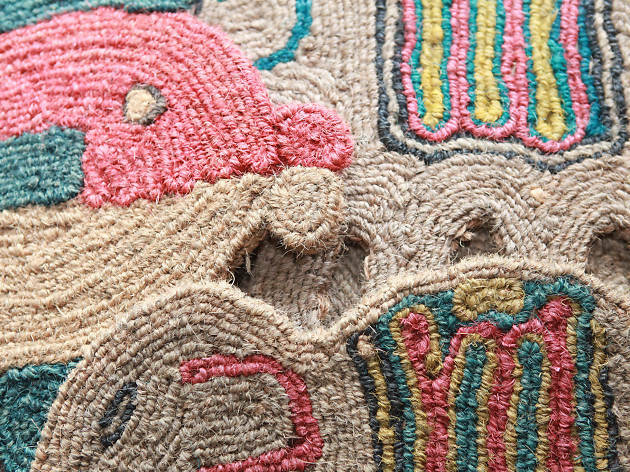 Whilst the age old methods are used by some, new tools and procedures introduced with time are preferred by the others in the making of these complex and exquisite designs. Colourful and bright walking sticks, handles of flags and hand-fans, bowls, vases, containers and decorative items made with lacquer work are seen island-wide. 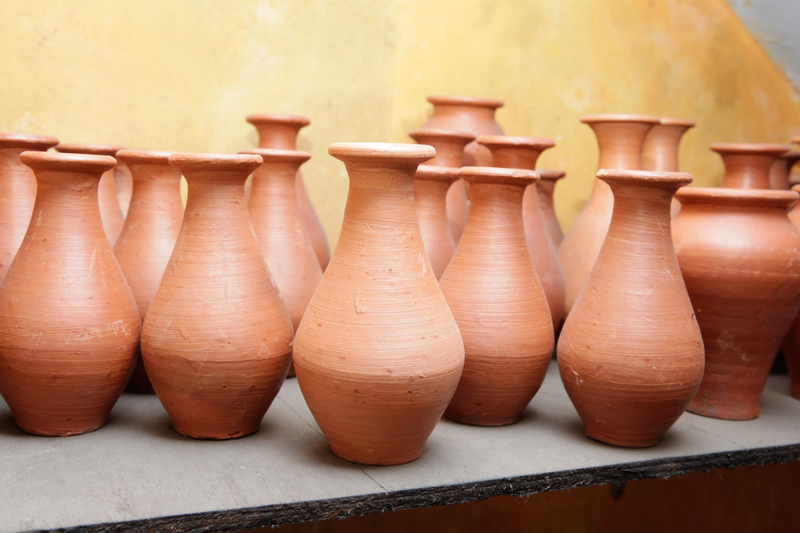 One of the oldest line of craftwork in Sri Lanka, pottery is still popular in this modern day of steel and plastic. Clay pottery mainly consists of a spinning wheel with soft clay placed on top, ready to be moulded into the required shape and the follow-up steps such as keeping the shaped pot in a brick oven to solidify the figurine. The clay pots with their rustic look, solid texture and historic background is perhaps, what draws most towards its charm. In addition to clay pots, terracotta figures, vases and other utensils are made from clay pottery as well. One of the most famous areas for clay pottery is Molagoda, a small village situated along the Colombo-Kandy road. 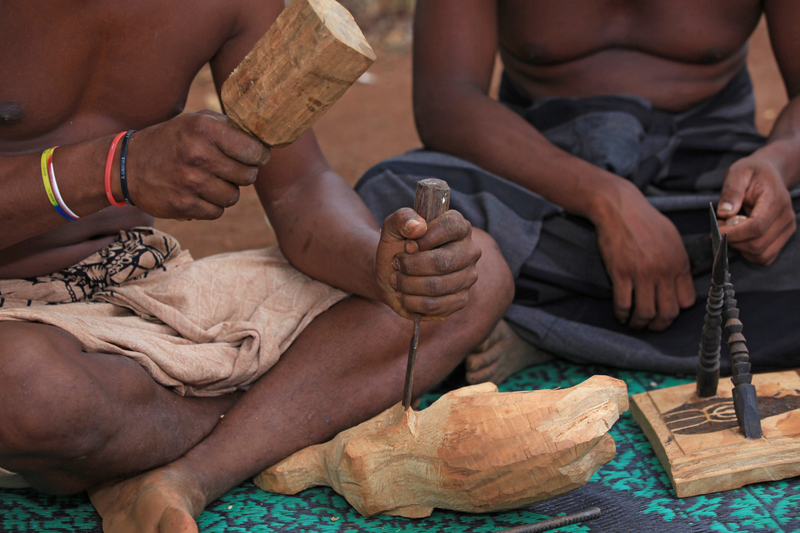 The traditional handicraft of wood carving has been around in Sri Lanka for centuries. 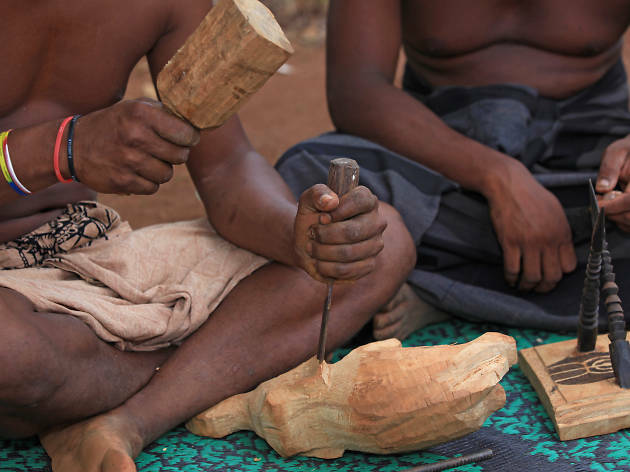 Various collections of wood carved products sold in Sri Lanka include ornaments and jewellery pieces, figurines, sculptures, lacquer products, boxes and toys. Carved wooden furniture and household items is also a popular buy amongst locals and foreigners alike. To purchase or even to get your own customized wood carving or set of furniture drop by any wood shop in Moratuwa. 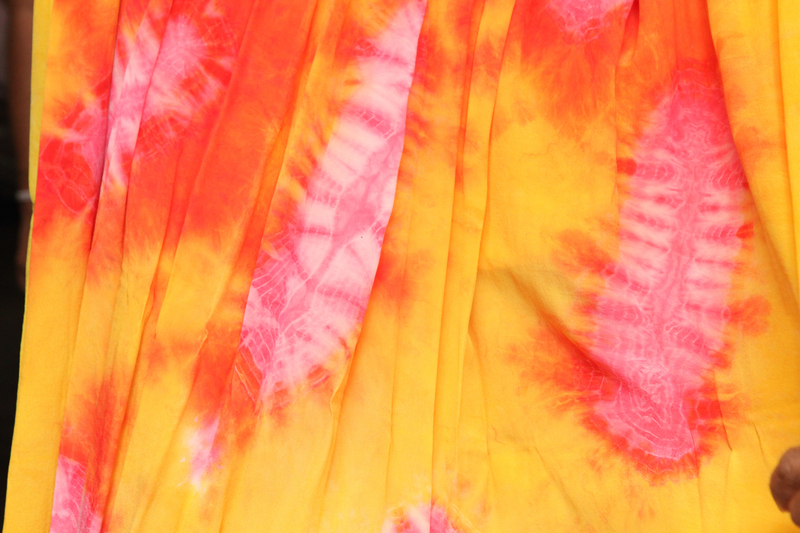 With roots tracing back to Indonesia, the creation of Batiks have earned a title role in the definition of Sri Lankan handicrafts. Its intriguing designs and combinations of hues offer an in-depth look into the picturesque landscapes, flora and Kandyan era designs from which most design inspirations are sparked. Each stage of the production process of the Sri Lankan Batik is done by hand and it is fabricated entirely on pure cotton or silk fabric. 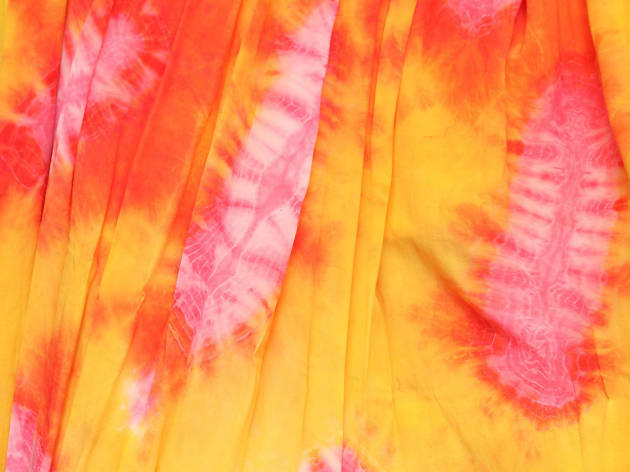 Mostly used in sheets, paintings, wall hangings and decorative items, Batiks have also taken over the fashion industry, resulting in various looks with Batik fabrics. The production of coir rope and products have been in play for countless years in Sri Lanka. The production process is comprised of several intricate stages involving the soaking and processing of the coconut husk, extraction of the coir fibre following the separation of the coir and then finally being twisted and spun into rope. Though traditionally, the coir rope is spun completely by hand, the large-scale manufacturing of coir products, influenced greatly by the increase of imports has implemented machinery to aid in the creation. 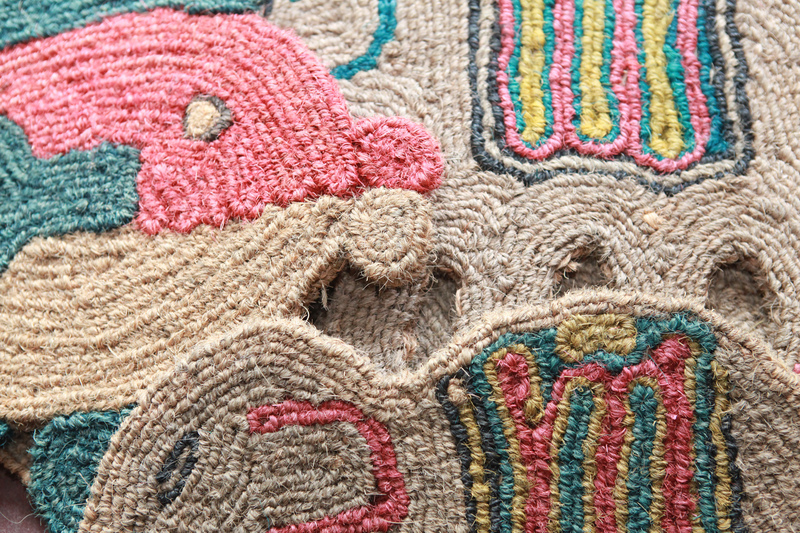 Popular coir products include carpets, mats, brooms and brushes to name a few.